Well, better late than never. 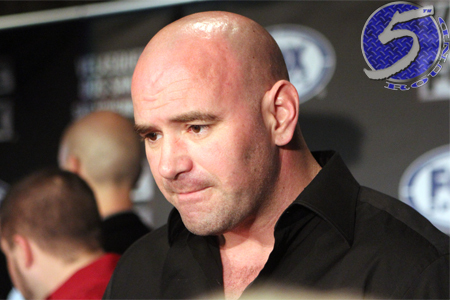 The UFC has just released video from Dana White’s (pictured) media scrum following Saturday’s UFC Fight Night 40 event in Cincinnati. White touches on a variety of topics, including Herb Dean’s performance in the main event between Matt Brown and Erick Silva, Brock Lesnar begging him to make Pat Barry retire, Nick and Nate Diaz and more. UFC Fight Night 40 took place inisde U.S. Bank Arena in Cincinnati, Ohio.